We are looking forward to go on a sonic trip and feast our eyes at the same time! 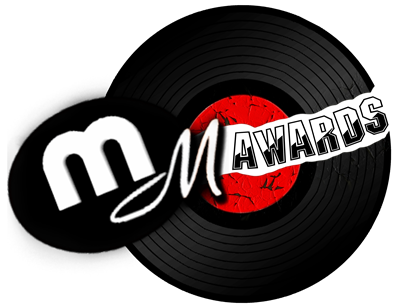 If you have a music video published on an internet portal, send it to Music Malt Online Fest. The best of the lot will receive a trophy, a certificate, and an attractive gift hamper. We will also share the winning videos on our website with a profile on the band/artist. Music videos ACCEPTED into our festival are required to make their videos available for public viewing at Youtube.com, Vimeo.com or similar platforms. Video submissions for Music Malt Online Fest starts on October 18, 2016 and ends on October 15, 2017. The results will be declared on October 18, 2017. Judges will take the final call. 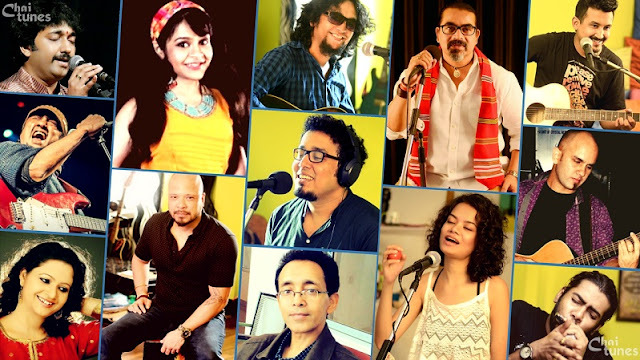 Powered by Eastern Fare, MMOF is an online music festival which will give a platform to the upcoming indie as well as established musicians to showcase their music videos to a broader audience. Video submission will start from October 18, 2016 and ends on October 15, 2017. The results will be declared on October 18, 2017. The fest is looking for already published Youtube, Vimeo or Dailymotion music videos. Music videos completed and published after January 1, 2012 are eligible for the music fest. For more info check this page later or write to musicmalt@easternfare.com. Any - from indie to rock, jazz to metal, blues to folk. Any or Instrumental for all the genres. The top three music videos will get Song of Substance, Creative Genius and The Dream Weaver awards. 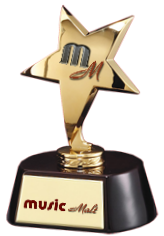 Each award includes a trophy, certificate and gift hamper. Any musician or band from around the world. $12 (or RS 600 approx) for the extended deadline upto Oct 15, 2016. There is no refund of fee for any reason. Music video once submitted can’t be withdrawn under any circumstance. There will be no refund of fee for any reason. By submitting music video to the Music Malt Online Fest-2016, musicians/filmmakers/producers/directors take the full responsibility of copyright issues of music, video, lyrics and other creative and technical aspects of the submitted video. Videos which are published on YouTube, Vimeo and Dailymotion are accepted for the festival. Last day of video submission is October 10, 2017. The decision of the Jury/Judges will be final and can’t be challenged. Festival organisation reserves the right to disqualify any music video if there is a violation of copyright or on any other grounds without notification. Showcase of winning and shortlisted music videos, music workshops, audience with the directors and musicians, award function, live music, dinner etc. Anyone who has a music video released after January 2012. Submissions are accepted only through FilmFreeway. Don't send us your videos through email or any other way. All entries will go through a multi-layered judging process which includes technical quality, impact on the listeners, style and uniqueness. The entry-level judging is conducted by Music Malt’s in-house professionals. The selected videos are screened by a panelists of industry professionals of various backgrounds - from music producers to music directors. Final and Shortlisted music videos may be sent to judges other than the panelists for additional review.